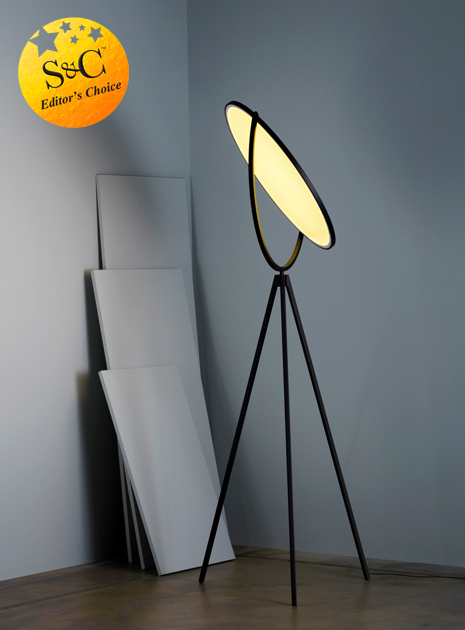 Text by Janto Wihardja, Photography courtesy of respective brands..
From the most prestigious exhibition, Milan’s high-end design extravaganza last April 2016 : Salone del Mobile, we have selected few lightings with the cutting edge design showing the key role in innovation and technology. We always believe that a beautiful home deserves not only perfect illumination but also the most beautiful lightings. 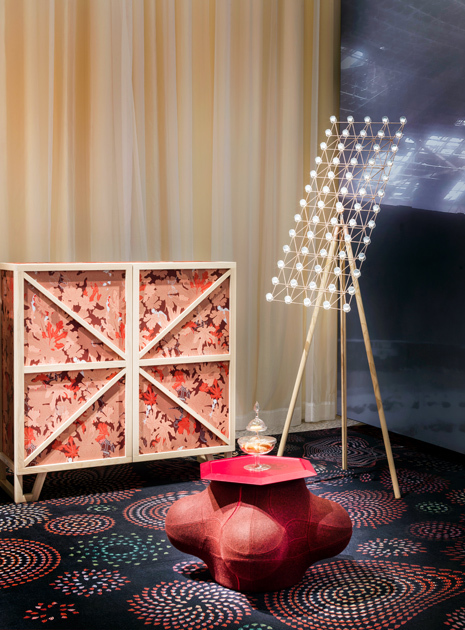 Review : Bold, unexpected and imaginative come from a genius Marcel Wanders when he approaches with a new design. 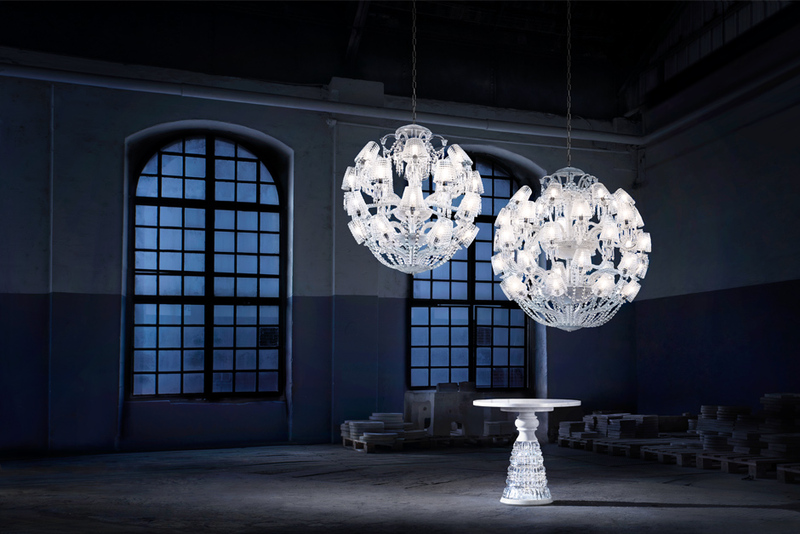 Roi Soleil chandelier is truly unique­­ not only due to its spherical shape for a chandelier but also it decomposes the shape of the historical Baccarat Zenith into a sun of light. 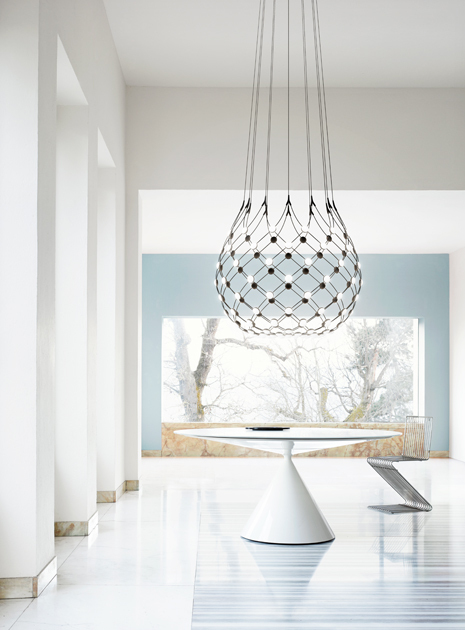 Definitely, the shape and the look of Roi Soleil could embrace everything in any living space. 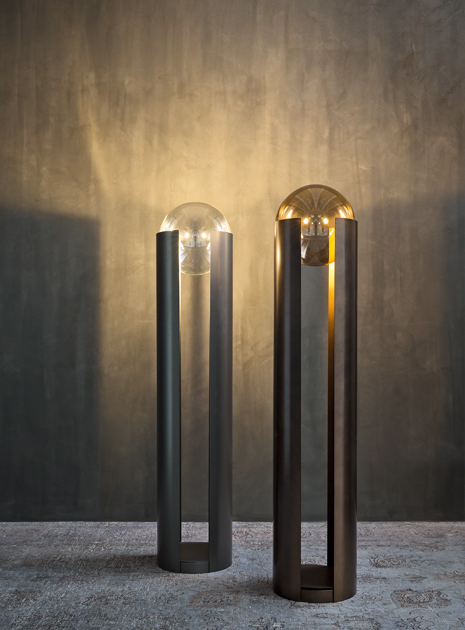 Review : The beautiful moon shape and the transparent body Ameluna are intriguing for a lighting. Thanks to an innovative optoelectronic system that made it possible to maintain the purity of the transparency and the forms. 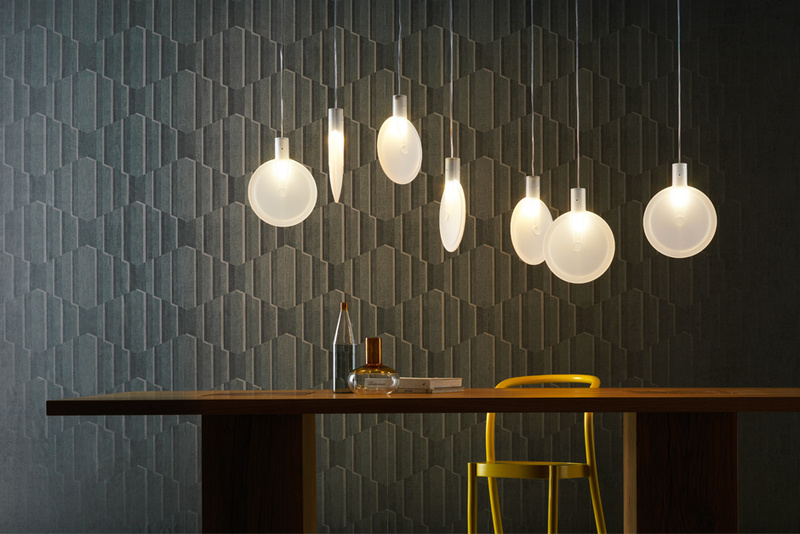 With an innovative RGBW spot, Ameluna can create a countless number of chromatic atmospheres to suit your current mood. Review : Lighting gets lighter and flatter? 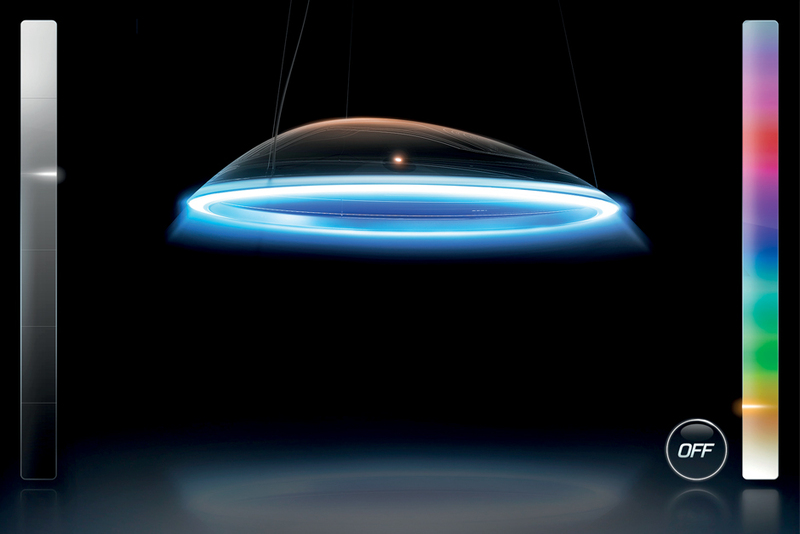 Superloon is an impressive flat disc lighting that can be rotated 360*. Bonus : A dimmer that can be activated through the optical sensor placed on one of the stems. 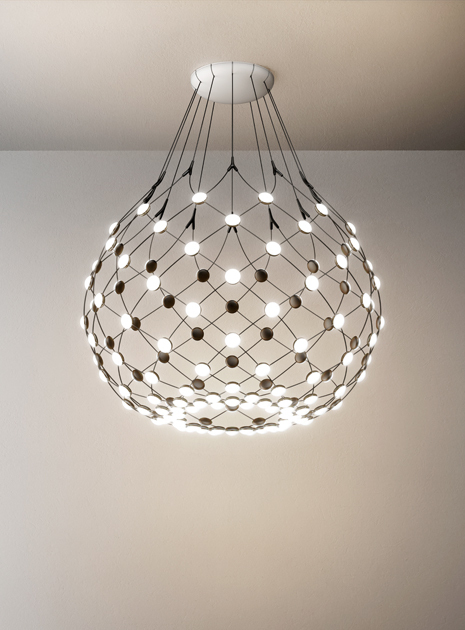 Review : Taking full advantage of LED, designer Sebastian Herkner creates an almost optical illusion of a flat spherical shape into a round sphere lighting that looks see through. 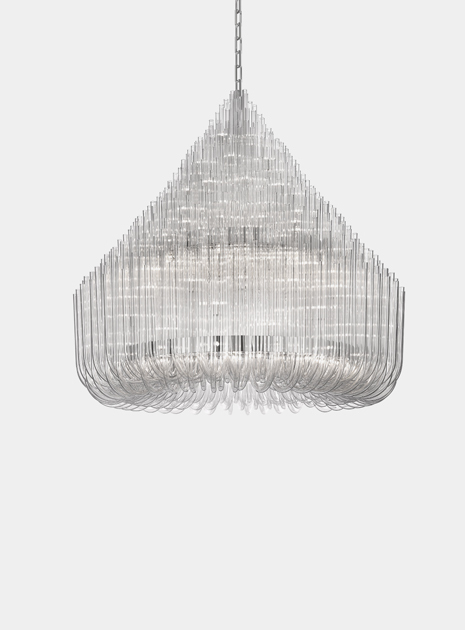 Nebra can flexibly be arranged in a larger composition using an optional multi-port canopy for a dramatic display. Review : How much fun can you be in outdoor? Think big or even think giant. 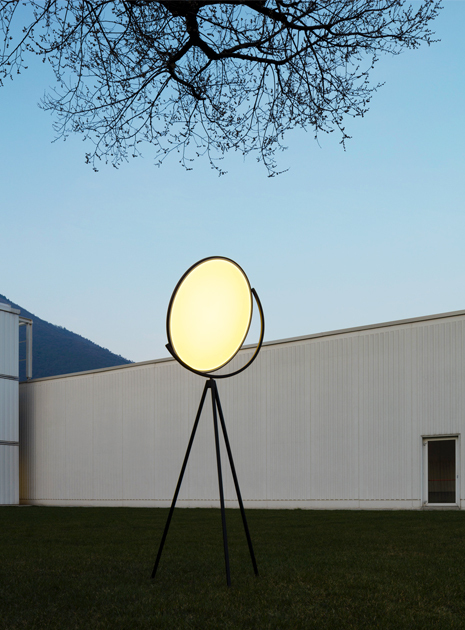 These two giant lamps can entertain your guests during an outdoor festive or simply could be great sculptures and lighting as well. Size does matter when we need something to be outstanding in out door. Bonus : The giant can be indoor or outdoor. Review : Space frame consists of an interesting rhythmic matrix of LED lights with shades like crystal lamps resulting wonderful matrix illumination. 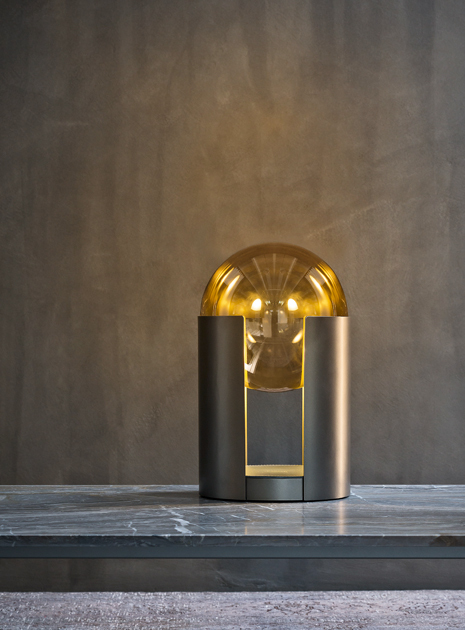 Review : The shape of the LED glass ball stands uniquely and elegantly on the top of its base. And the glass comes in bronzed, smoked or clear to suit your illumination mood. These decorative lightings are part of larger collection of Softwing furniture that Carlo Colombo designed this year for Flou. Review : From a haute couture fashion designer with a distinctive language and vocabulary of high fashion comes this poetic and artistic design that required impeccable skills of traditional glass making. 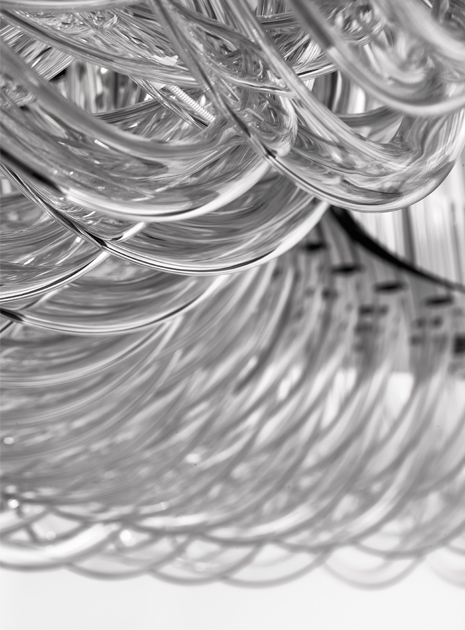 Ludwig is composed from numerous glass tubes form a chandelier resulting dramatic illumination. 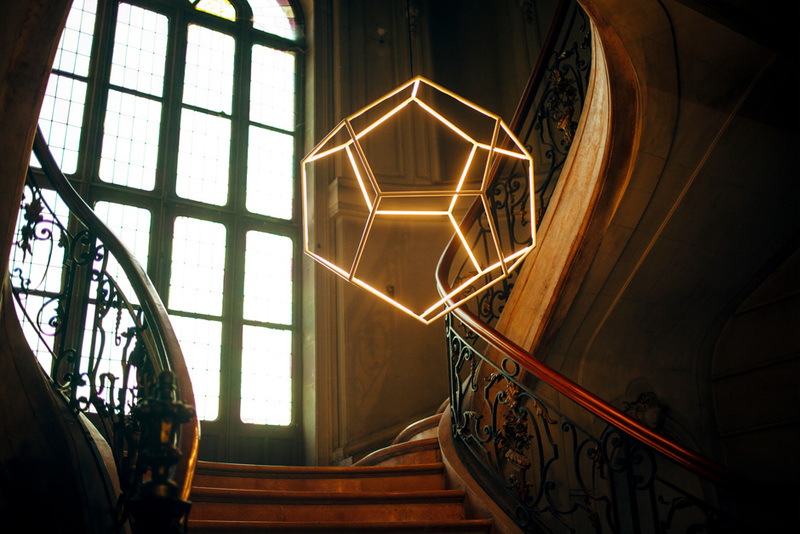 Review : All the lightings are still handmade with highly skill craftsmanship. The integration of lightsource in the frame (unlike conventional lightings) makes the lighting is more appealing as an object of attraction. 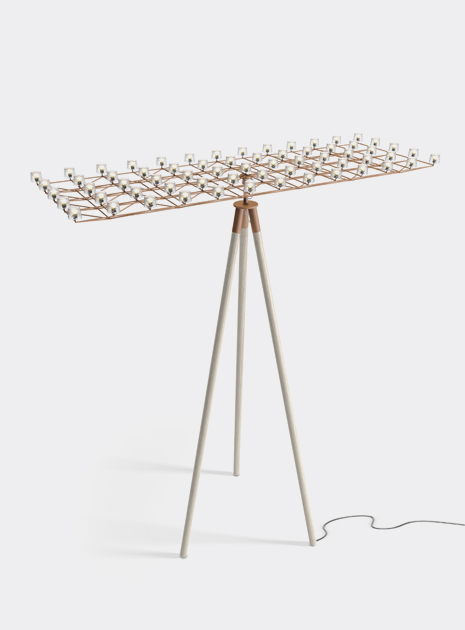 Behind its simple mathematical shape, thanks to the sophisticated solutions that they have integrated wires and connection within the aluminium frames. Review : The shape of the lighting with its well-defined LED point position (mesh) can generate an evocative atmosphere in any room. the intensity can be adjusted, and it is possible to choose which sectors to illuminate – an upper ring, the lower zone or a lateral sector. 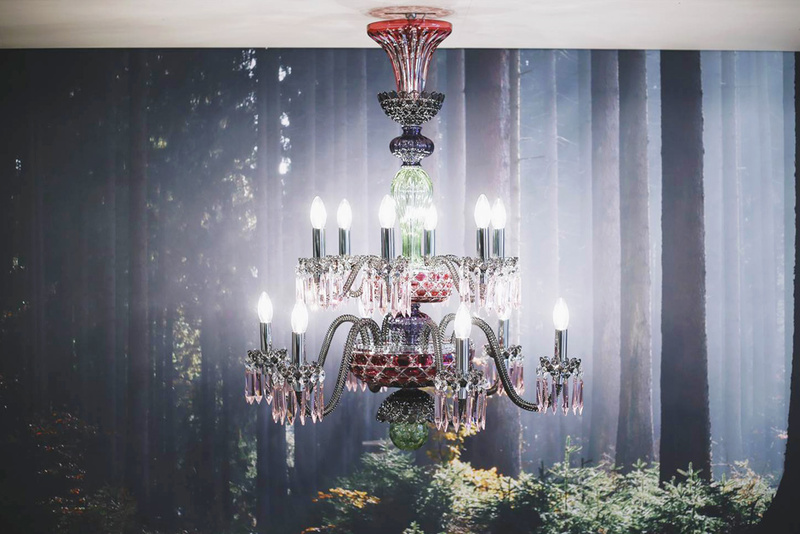 Review : Adorned with three harmonious color combinations, the new Arlequin breathes a sense of contemporary look of a chandelier. The bright colorful crystal light reflections could be the crowning beauty of your living or dining room. Review : Could we be stylish and elegant with our outdoor lightings? 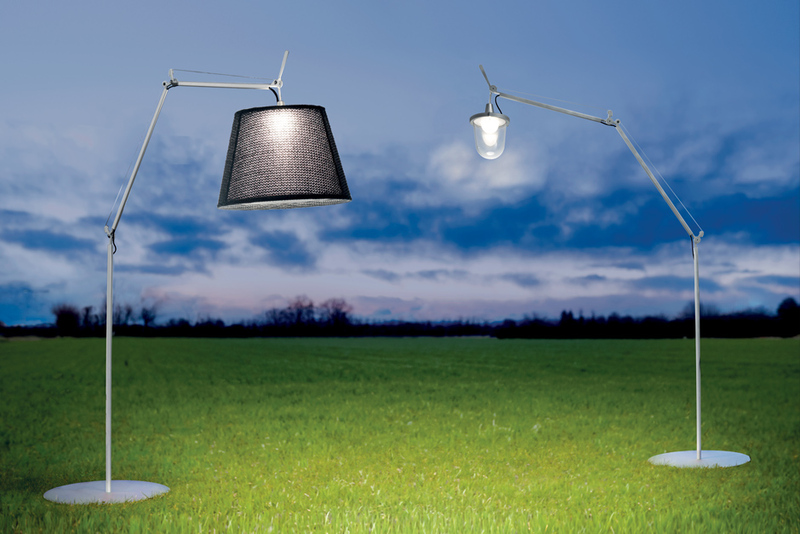 If you like classic Tolomeo table lamp by Atermide, these two stylish and elegant outdoor lightings may steal your attention for any evening events. 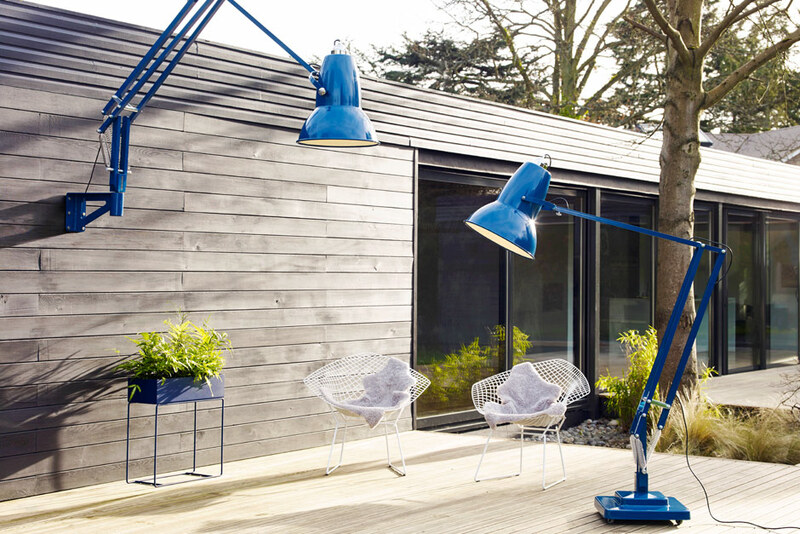 The Tolomeo series have been refined from indoor collection to a series of outdoor collections with all the same features, nothing less.